The impossible task of tracing the pre-conditions for eco^2 begins with a selective diet from the history of ideas and events of global history, is informed by a respectively wide range of cultures, and dissolves into the inexpressible nuances of a continued life-long exploration of the human condition in all its excruciating passions. The original conception of eco^2 was entirely accidental in December 2011, emerging from a fancy between two people, and formed in the social space between players unaware of their effects. The process of explanation to others was the process of exploration with others, and the distinction of developmental stages formed in and out of itself, giving rise to the embryonic stage of the eco^2 entity from January to March 2012. A team gathered at the end of March and committed to creating the ideal conditions for the birthing of the eco^2 entity for the 25th of April 2012. First conscious contact with people in organisations across all sectors began in May, introducing specific eco^2 protocols in respectful engagement, the offering of specific product and service and experiential gems, and inviting participants to a new business methodology based on scalable result-driven co-creation. A fictional narrative, The Gift, introduces and explores the consequences of adopting ecological economics over the next two decades. An App is born in 2014, a dashboard that operates all the gratitude-tracking function. Dissection of the initial financial protocol reveal a fundamental re-engineering of money itself: treating money as a vector. Three versions of a web-app are created between 2015 and 2017; soft-launch expected early 2018. A first web-app is coded in 2015 with all Ecosquared functions, but the UX isn’t good enough to go public and the back-end is unstable. A second version is coded in 2016, but the coding company deliver a product that is both insufficient and incomplete. Finally, a third version is initiated in summer 2017, with very limited release of alpha in November 2017 to investors, soft-launch partners, and exceptional individuals, sharing the viral engine. Projects completed mid-February and soft-launch expected Spring 2018. Money is a piece of tech that is 3000 years old. Ecosquared alters the basic axioms of money. We treat money as a vector, not a scalar. Rather than modelling the traditional economic, we ask what the most efficient use of money-as-a-vector? There are three functions, applied to ‘things’, ‘people’, and ‘future objectives’. Our users can generate revenue and distribute virally any digital content — without advertising. A website, ecosquared.co.uk, is created as a basic portal to Ecosquared. Ecosquared.info retains limited function as an archive. Back-end financial engine, front-end android app allowing users to evaluate other people, projects and things using the Subjective-Enumeration-Algorithm, while engaging people with Money-Time-Trust-Protocol contracts, GIFTing things through the Invitational-Protocol, and investing in mutual objectives using the Financial-Trust-Protocol. The dashboard for a new economic, a social tool which may enable us to grapple with and control that most powerful meme — money! Creating a non-linear narrative structure to contrast different rates of adoption of ecological-economic-like protocols, such as the giving or sharing movement, alternative currencies, and virtual tabulations. The book is currently being written and readers, as early adopters, have an opportunity to edit and contribute. The main spine of The Gift consists of four interlocking s-curve narratives which create a longer term s-curve as we shift from money-production to value co-creation. Submission of minimal text for PurpleBeach community. Contacting companies directly, venture capitalists and marketing-advertising companies, introducing mttp, producing value, and iterating scalable invitation. Deriving the practice of fractional employment, originating deceleration of money, and scalable result-based business methodology. Simultaneously seeding equity cycles at multiple levels of scale, £10, £1k, and £100k equity cycles in London and Edinburgh. Adoption of asana.com as project management tool, since it fulfills some of the elements of the confluence model. Creating the ideal conditions of £50k within a month by David, Nick, Liam, Pam, Wendy, Ian, attracting Michel, Indy, Neil, Doug. Tracking contributions through subjective enumeration. Formation of first open document on net outlining the necessary and optional elements generating a new economic entity, attracting a constant stream of readers. The document outlines the necessary and optional elements that create a financial wrapper for networks, a financial means to generate the commons. Creation of complex prezi which seems to scare more than it does clarify. 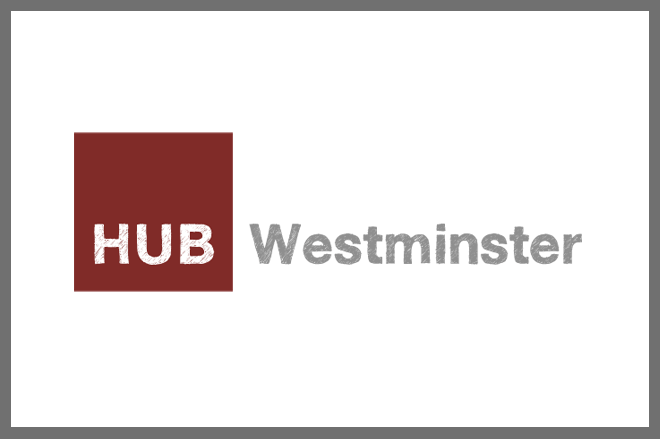 Originally conceived as a simple ideal external attractor for Hub Westminster during a conversation between David and Anne in answer to the problem of traction of social business in the current economic climate: that the hub is known as a place where people double their money. Accidentally validated by Tav and Nick of architects/00. In order to validate this attractor to sceptical nay-sayer and business consultant Steve, the first simplified, scalable protocol was formed — what came to be named later as the money-time-trust-protocol. Tracing the necessary elements which give rise to the eco^2 entity dissolve into the long tail of influence. Described below are a few personal accounts. If these two assumptions should prove to be provable, you are left with the topological challenge of folding the hem of the ponzi skirt back into the waistline seamlessly, creating a klein bottle of mutual continuous asymmetry in entropic systems. I don’t doubt that this can happen.because that is another way of describing the continuities of such persistent psycho economic systems as aboriginal cultures which have survived 30,000 years. And, if anything, material capital in the context of legal corporatism has defiled this rather natural affinity tendency at every level of existence so far, inducing self destructive psychosis on perfectly average people. In fact, I wouldn’t criticize any aspect of your vision at this point. I am thinking of opening an alternative psycho-economics topic on my curatorial schedule at scoop.it. There don’t seem to be enough viable alternatives to report on at this point, unfortunately. I certainly applaud your initiative and have already contributed a graphic for your free eternal nonprofit use gratis. Thanks for sharing your efforts and it has been a pleasure meandering through your garden of optimism and skill.